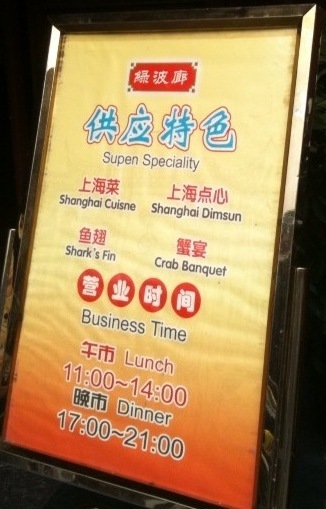 Official functions in China soon will have to do without a "delicacy." China's Government Offices Administration of the State Council will be "instructing all levels of government agencies," Xinhua reported, "to restrict expenses on luxury food at official receptions, and impose stronger supervision over banquets funded with public money." Not addressed by China's announcement are non-official-function sales of shark fins -- the consumption of which is said to be contributing to the endangerment of numerous shark species. Thus will be interesting to see whether and when a makeover's in store for the menu board in the photo at right. Yours truly captured the image last month outside a Shanghai restaurant said to have hosted Clintons and Castro, among other global notables.